With a career streching back to the early 1990s, Dora García’s unique oeuvre is internationally renowned for her rigorous and incisive work based on extensive artistic research into the blurred boundaries between the real and its representation. Through performances, drawings, films, texts, expanded books or installations, she lays bare the mechanisms that rule cultural communication processes, exploring and questioning the nature of the relationship between artist, artwork and audience. García’s work is filled with references to literature, theater or psychoanalysis. 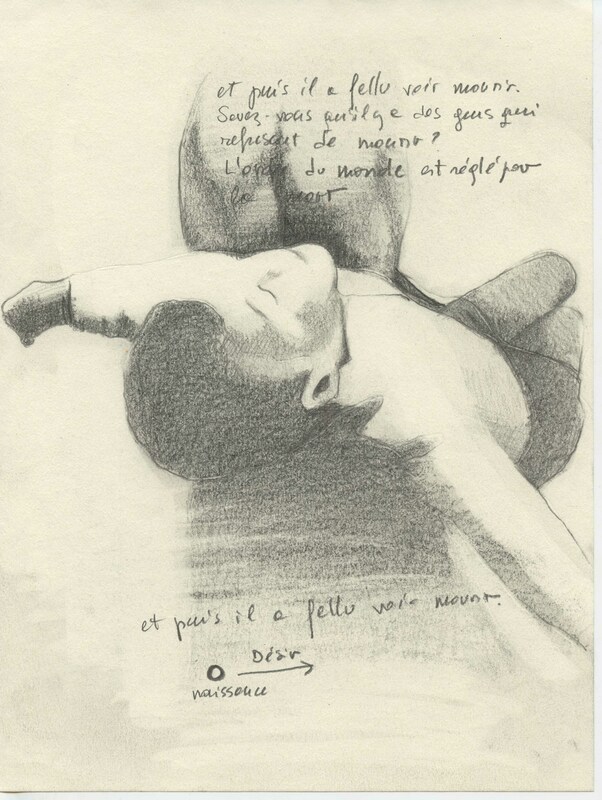 For her upcoming exhibition at ProjecteSD, entitled La Peste (The Plague), she uses literature again referring to Albert Camus’ text to unfold a series of new works based on drawings and performance. García (Valladolid, 1965) represented Spain at the Venice Biennial in 2011 and in 2012 she participated in dOCUMENTA (13). She has had solo shows at the CGAC (Santiago de Compostela, 2009), Galleria Civica di Trento (2010), Power Plant (Toronto, 2011), Kunsthaus Bregenz (2013), Universidad Torcuato di Tella (Buenos Aires, 2014) and recently at the MNCARS (Madrid, 2018), to mention a few. Tuesday to Friday 11 am – 7 pm. Saturday 11 am – 3 pm. ProjecteSD was founded in 2003. Based in Barcelona, the gallery exhibits contemporary art by generating dialogues between consolidated artists and young authors, and by presenting works from different epochs and contexts in order to emphasise artistic value over and above trends, classifications or generations. ProjecteSD has established a minimalist and conceptual stance from which it promotes its resident artists in the international context, while also introducing international proposals to the Spanish public. Alongside its programme of exhibitions, ProjecteSD pays special attention to artist’s books, developing a permanently growing section of editions that prioritizes the projects of the artists it represents. ProjecteSD is the first Roma Publications distributor in Spain, as well as Paraguay Press'. ProjecteSD is recognised as a new concept of gallery within the Spanish scene. Its consistent programme, particular selection of artists outwith commercial interests, beyond the trends and demands of the market and its personal stamp, have contributed to the gallery’s prestige and unique character. 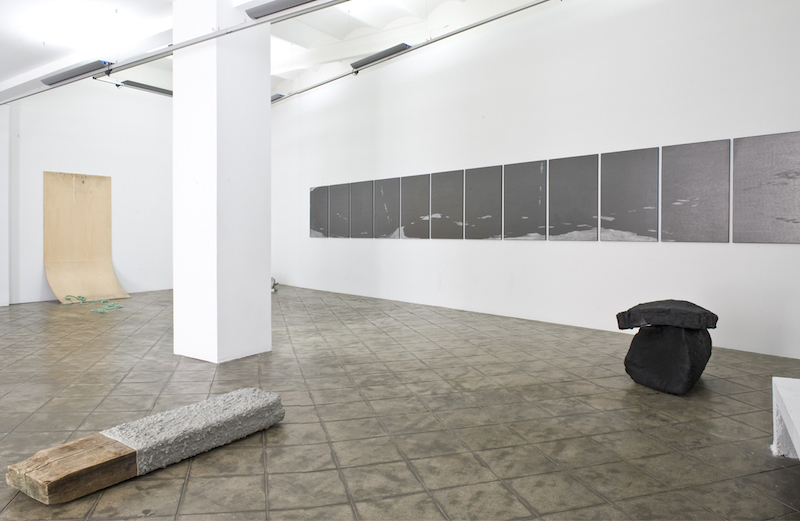 Iñaki Bonillas, Raimond Chaves & Gilda Mantilla, Patricia Dauder, Koenraad Dedobbeleer, Hans-Peter Feldmann, Dora García, Ana Jotta, Guillaume Leblon, Jochen Lempert, Asier Mendizabal, Matt Mullican, Marc Nagtzaam, Peter Piller, Xavier Ribas, Pieter Vermeersch, Christoph Weber.